This is an 8-night, 9-day photo tour. 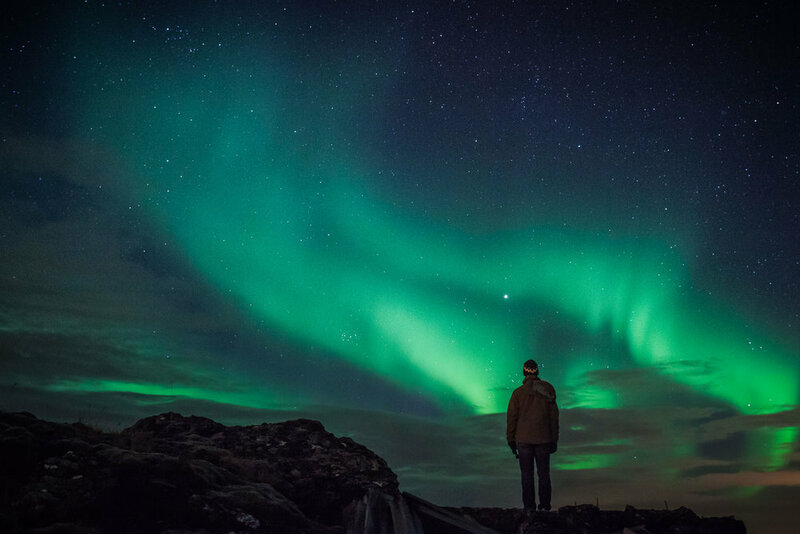 Your adventure begins with an overnight flight to Reykjavik on March 11, 2018, and ends at 5 p.m. on March 20 with our evening flights home. Plan to arrive no later than 10 a.m. on March 12. Choose a departing flight that leaves at 5 p.m. or later on March 20. $5,495 + $800 single supplement if applicable. Tour price is based on double occupancy. If you are traveling on your own and wish to share a room, we’ll do our best to find a suitable roommate for you. If we cannot, however you will need to pay the single supplement. Due to surcharges imposed by the tour company there will be an additional charge of $400 if there are fewer than 8 people in the group. (This is unlikely, as our previous trips have all sold out.) Apply below. Skill level: This photo tour is open to all. Non-photographer significant others are welcome, but are expected to pay full price for the trip. Note: Deposit of $1,495 is required to reserve your spot at the workshop. Balance of $4,000 due on December 12, 2017. Last day for a cancellation request is December 11 (see details here).Or, you may choose the "Pay in full" ticket if you desire to pay all at once. A $1,495 deposit will secure your place in this workshop. You may pay the $800 single supplement at any time up until the pay-in-full due date, but singles are limited and available on a first-come, first-served basis. The balance of $4,000 is due 90 days before the trip. There are no refunds after the pay-in-full due date, but you may send someone in your place if you are unable to attend. In that case, you will be responsible for full payment and being reimbursed by your surrogate. All other terms of our cancellation and refund policy remain the same. We strongly recommend trip insurance. This photo tour will feature long days and nights with intense periods of photography. It's not a workshop—there will be no formal classroom instruction, lectures or critiques. There won't be time, as we will be photographing day and night. 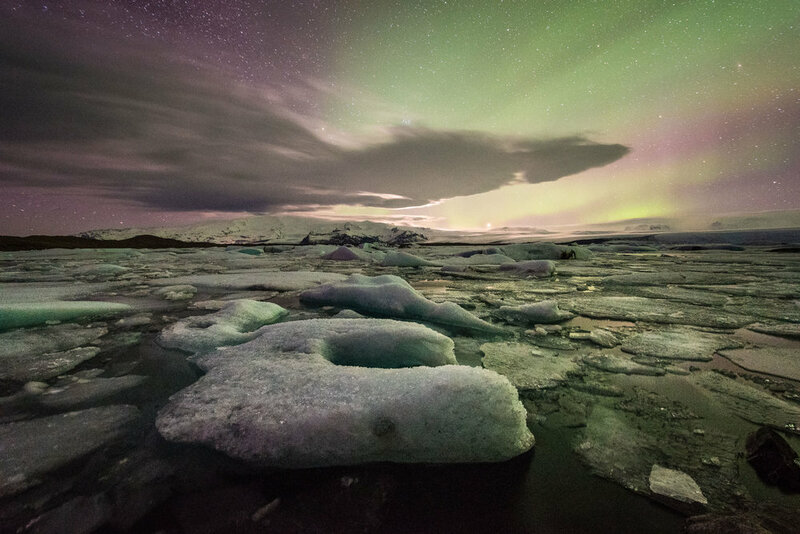 This is not to say that it won't be a learning experience, but the first and foremost goal of this trip is to provide you with a comfortable and organized opportunity to create images of the dramatic landscapes of Iceland and of the aurora. You'll be working closely with people of varying levels of photographic experience, and we'll all learn from each other while making friends along the way. The trip is suited for people of all photographic levels, and the leaders will provide instruction on night and low-light photography techniques in the field, and share some articles in advance of the trip to get you started. We will be available to work with you one-on-one, offering as much or as little creative and technical advice as you want. Night photography will be a big part of the trip, whether or not we see the aurora. Whenever the weather permits, we will venture out to search for and photograph the aurora borealis. There may be time for casual sharing and review of images, especially if there is "some weather." 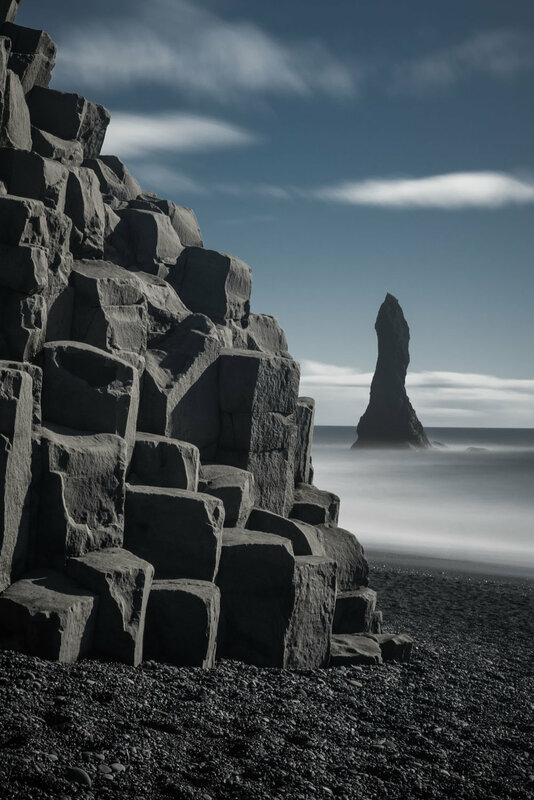 As this is a photo tour rather than a workshop, the emphasis is getting participants to great locations with great light, and making sure that everyone has the trip of a lifetime. We figure that you don’t travel to Iceland very often, and you wouldn’t want to spend your time in a classroom being lectured to! 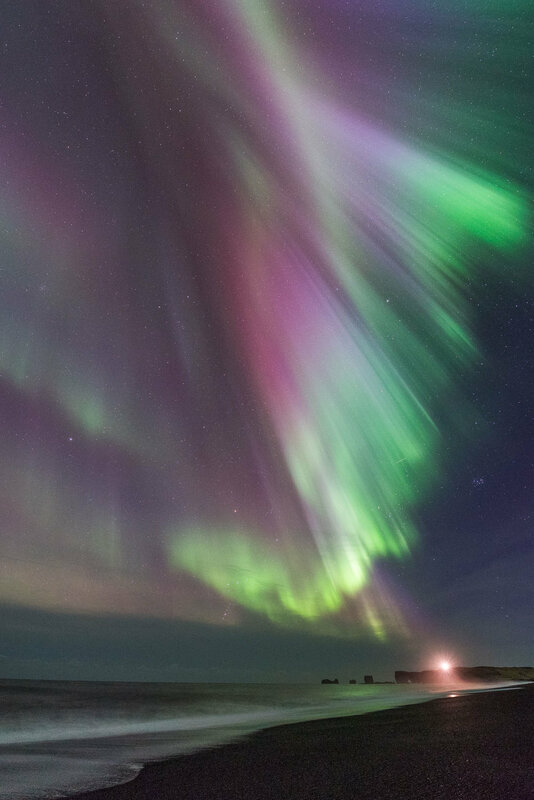 See and photograph the aurora borealis? The instructors will be available for one-on-one guidance in the field. We’ll be glad to review your images with you during quieter moments, but there won’t be formal group image-review sessions. You are responsible for your airfare to and from Reykjavik (KEF). All transportation in-country is included, and will be in our roomy 15-passenger Sprinter 4x4 van with high clearance and studded tires. The workshop will be based in five different tourist-class hotels along the south coast and in Reykjavik. In general, Icelandic hotels are clean, simple and comfortable. In Reykjavik, we stay at a lovely boutique hotel with a wonderful art collection. The trip is inclusive of all meals from breakfast on the first day to breakfast in Reykjavík on the last day (with the exception of lunch on the first day). We will eat well, with breakfast at our hotel each morning, a packed lunch on the road, and in the hotels or fine dining restaurants each night. We will have a special farewell dinner on the last evening. Expect temperatures just above or near freezing day and night, although temps occasionally dip into the 20s F, and there is always the possibility of a winter storm. One of our recent groups experienced the Full Monty of an Icelandic winter storm, and it was intense. Ferocious wind and blowing snow can make getting around impossible. At times like these, we'll work on and share our images, or visit museums or other cultural attractions. Recommended attire: The best way to prepare is to bring lots of layers, including waterproof and windproof outerwear: boots, jacket, pants and at least two pairs of gloves, preferably at least one pair of flip-top mittens, two hats, and lots of hand warmers. If you are not sure-footed, please consider a pair of crampons for walking over ice and snow. No vigorous activity will be required, but please consider your physical abilities and limitations prior to registering. Most locations will be within sight of the van, but you should be comfortable carrying your own equipment over uneven ground in the dark. 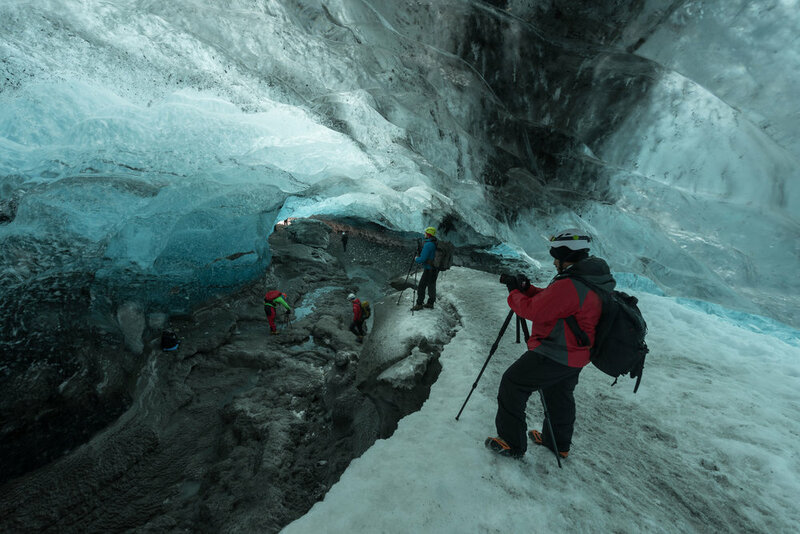 Our optional tour in the ice cave (additional cost) will involve walking on ice with the use of crampons (provided along with a helmet for this day only), and may involve some scampering and scrambling. 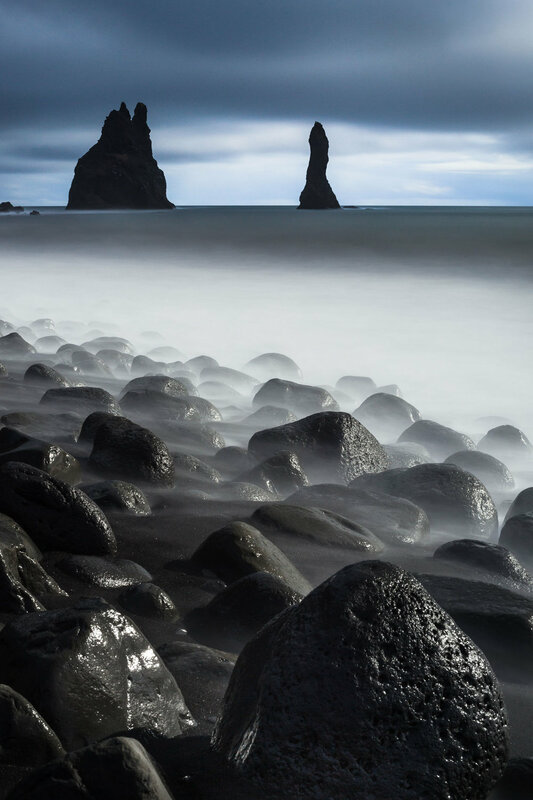 In 2011, I was contacted by an Icelandic travel agency, and asked if I would like to lead a photo tour to Iceland. Was I dreaming? Nope, it was for real. I had thought about an icelandic Photo Tour for a few years prior to that, but as I hadn’t ever been, I didn’t feel qualified to lead a group. This was the perfect opportunity–– to take a group and co-lead with a local. It was amazing. What a crazy place, this land of fire and ice. The only problem was that the trip structure didn’t allow for much night shooting. After a couple of trips with the local photo leader/guide, I decided to strike out on my own, and to design a trip and run it the way I wanted to do it, with an emphasis on night photography. I certainly haven’t explored every nook and cranny of iceland, but in the years since then, I’ve covered a lot of ground and have found my favorite spots that I would like to share with you. This year’s trips with National Parks at Night will be my ninth and tenth photo tours to Iceland, and as far as I’m concerned, each one is better than the last. 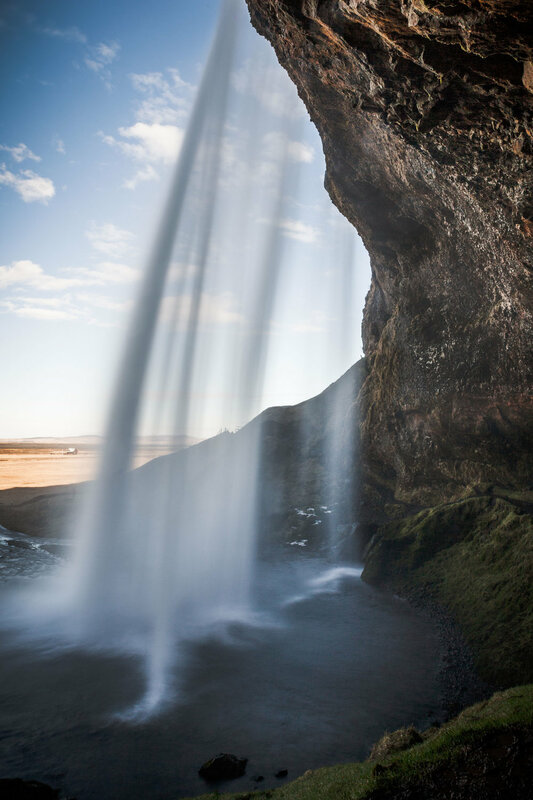 Iceland is such a fascinating place—an island nation of 300,000 people just outside of the Arctic Circle with a vibrant culture, rich traditions and history, but very cosmopolitan and forward-thinking people. They are multilingual, highly educated, fun-loving, and have a bunch of funny characters in their otherwise normal looking alphabet. They generate all of their own electricity and heating with geothermal and hydroelectric power, and even grow tomatoes, cucumbers and peppers year-round in geothermal-powered greenhouses. Then, there is the landscape. 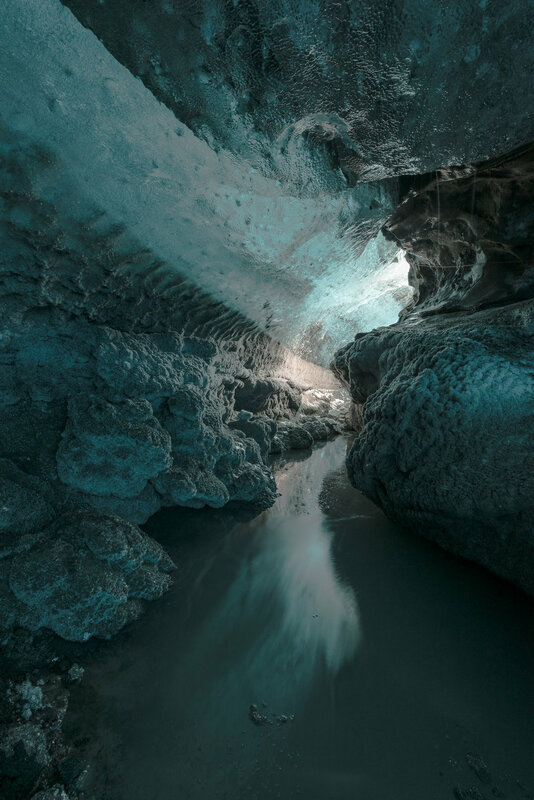 It is truly shaped by fire (Iceland is one of the most volcanically active places in the world) and equally so by ice (the island rests between 64 degrees and 66 degrees north latitude). It’s a photographer and nature lover’s dream in any season. Throw in some crazy colored lights in the sky every now and again, and it’s hard to find someone who isn’t captivated by this unique but accessible country.